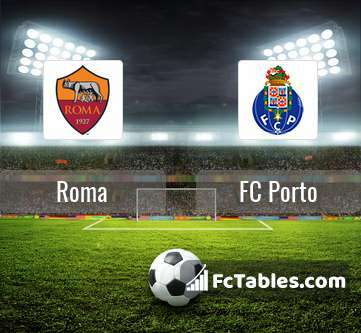 Kick off Roma-FC Porto in Champions League on today 20:00. Referee in the match will be Danny Makkelie. 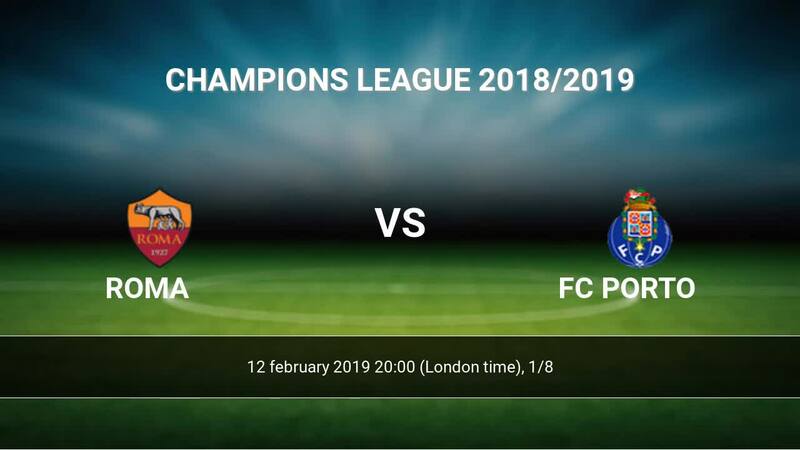 Roma takes place, which promoted to the European cups. Last 5 games (league + cup) finished balance 0 points. From 2 matches can't win a match. The best players Roma in Champions League, who scored the most goals for the club: Edin Dzeko 5 goals, Cengiz Under 3 goals, Lorenzo Pellegrini 1 goals. Most goals developed: Edin Dzeko 2 assists, Cengiz Under 2 assists, Lorenzo Pellegrini 3 assists. Injured players Roma: Patrik Schick. FC Porto takes place, which promoted to the European cups. In 5 last games (league + cup) FC Porto get 0 points. In this season games Champions League the most goals scored players: Moussa Marega 5 goals, Jesus Corona 3 goals, Hector Herrera 2 goals. They will have to be well guarded by defense Roma. Players Moussa Marega 1 assists, Jesus Corona 1 assists, Hector Herrera 1 assists will have to be very well guarded by defenders Roma, because they have the most assists. Injured players FC Porto: Moussa Marega. Direct matches: usually ended with winning of FC Porto. 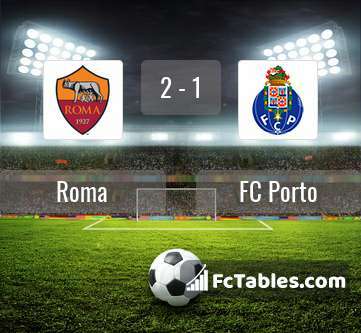 Balace of both teams games are: 0 won Roma, 1 wins FC Porto, 1 draws. 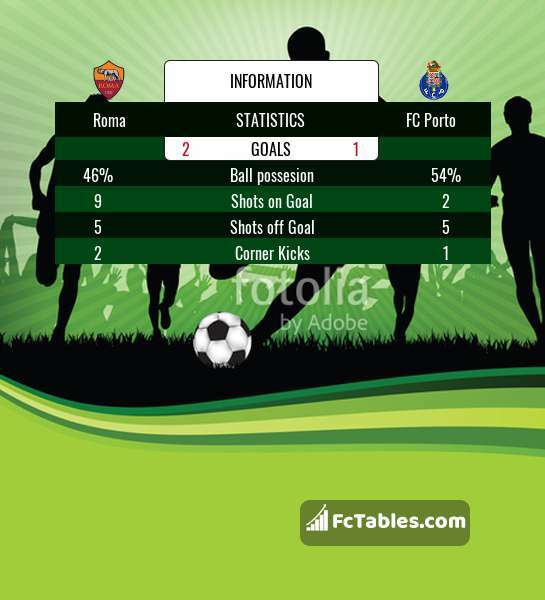 In 1 matches the sum of the goals both teams was greater than 2.5 (Over 2.5). On the other hand, 2 matches teams scored more than 1.5 goals (Over 1.5). In 1 matches the both teams have shot at least one goal.